CIRCA’s current research projects in the area of critical infrastructure are listed on the Critical Infrastructure Projects & Products site. There you can find a description of ongoing projects and any products from the project, including tools, reports, data, presentations, etc. Below is a general description about critical infrastructure resilience. Critical infrastructure can include wastewater treatment plants, power stations, transportation networks, hospitals, etc. 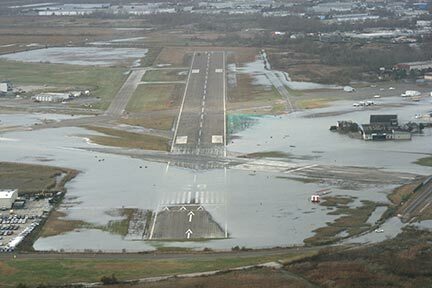 Connecticut’s recent history has demonstrated that critical infrastructure of all types can be extremely vulnerable to the impacts of climate change and severe weather. For instance, back-to-back storms in 2011 each caused over 700,000 power outages across the state (Hurricane Irene and Winter Storm Alfred). Such disruptions to critical services can severely impact Connecticut’s residents and businesses. 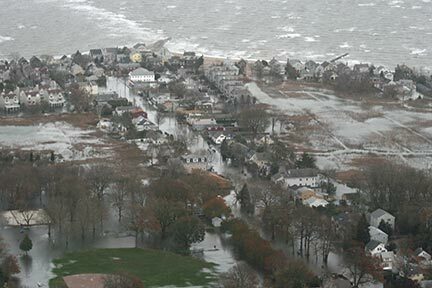 CIRCA’s mission is to help Connecticut’s towns and cities be more resilient to the impacts of climate change and extreme weather. In order to be more resilient, critical infrastructure within a municipality must be protected. CIRCA helps communities identify critical infrastructure that is at risk, measures the vulnerability, and identifies ways to reduce that vulnerability. In order to do so, CIRCA researchers are making climate change predictions for Connecticut. Projects relating to calculating current and future flood risk from precipitation changes under climate change, modeling sea level rise and storm surge inundation, and others are part of the groundbreaking in-state science developed at CIRCA. Photographs taken by the Connecticut National Guard on Tuesday, October 30, 2012, during an aerial assessment of damage caused along the Connecticut shoreline by Hurricane Sandy.